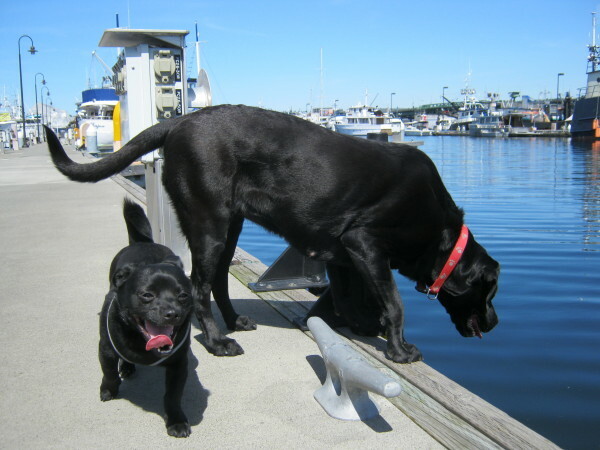 F/V Natalie Gail – SE AK Seiner, Captain Hollis new lil black dog with fast friend 90 lb Gracy who loves to swim! They had a blast running around Fishermen’s Terminal. Now the Natalie Gail is up on SE AK fishing – hopefully sinking the net, no boat breakdowns and crew that is not super green this year – meaning hopefully no-one looses a finger or get to hurt. See ya’ll back in the lower 48 after your strong happy AK fishing season.